I was,still am a tiffin-person.I prefer having palaharam the whole day.No rice,no chapathi-give me dosa-idli-appam any time of the day and I'll be one happy person.Many days in a week,I make a little extra breakfast so that I can have it as a snack later in the day or sometimes if I am alone,it easily becomes my lunch with a fruit and a juice as an accompaniment. Making these at home is a very simple affair if you have ready dosa batter.Ma-in-law grinds a separate batter for appo,making it a bit thick and coarse,but since I grind my dosa batter in bulk,I use the same.The seasoning is up to your choice,really.Adding soaked channa dal,cashewnuts,groundnuts choices are aplenty to make sure your paniyarams taste different every time! In a pan add oil and splutter mustard seeds,urad dal and methi. Mix in green chilly,curry leaves and ginger.Saute for a minute then add chopped onions and saute for 1-2 minutes. 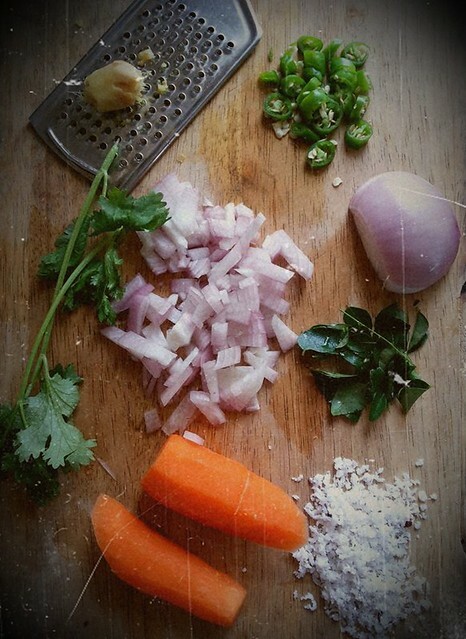 Add grated carrot,coconut,coriander leaves and salt to taste. Switch off flame and mix into the dosa batter. Heat a paniyaram pan and add about 1/2 tsp of oil/ghee in each hole.When the oil gets hot pour one ladleful of batter into it and cover with a lid. Cook for 1-2 minutes on medium flame then flip over and cook the other side.Remove and serve warm with coconut chutney. me too a tiffin person. idli, dosa, appam always wins over over parathas or roti-sabzi. the second pic is good with the filter. guess its instagram's. 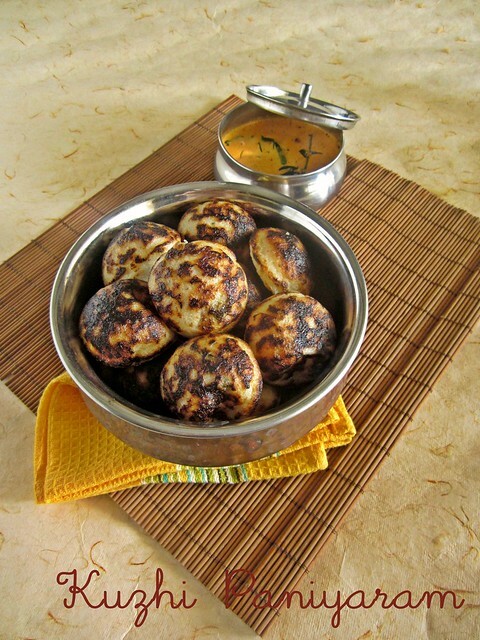 I don't have a paniyaram pan, is it ok if I use idli steamer for this recipe ? Thanks a lot !